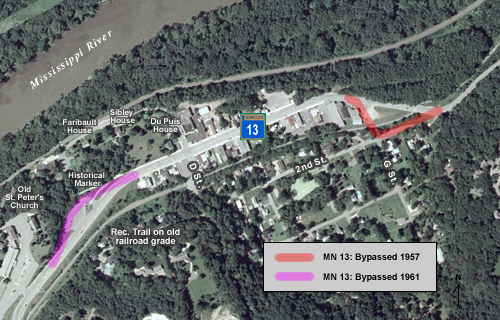 Highway 13's alignment through the historic town of Mendota has been altered twice since 1934. In 1957, a new approach to the railroad tracks on the east side of town was constructed to get rid of two nearly 90 degree turns required on the original alignment. The highway in the center of town was also widened to its current extent, and curbs and gutters were added. 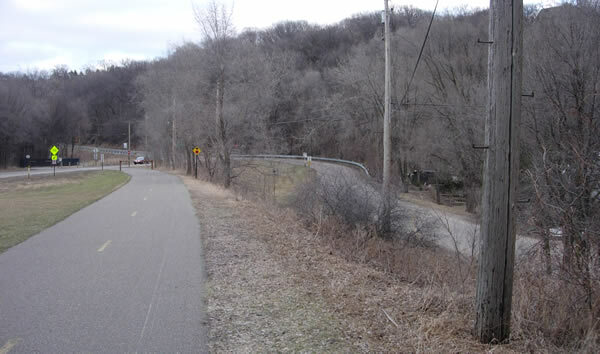 The road on the west side of town was realigned in 1961 to lessen the severity of a curve on the hill ascending towards the Mendota Bridge. The 1961 realignment was part of a larger project to widen the Highway 13 between the Mendota Bridge and Lilydale. 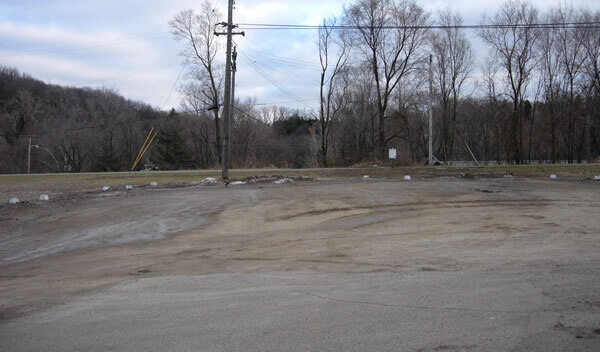 The old right of way is now occupied by a public parking lot, constructed in 1993. On the east side of Mendota, looking north towards the modern highway. The road originally curved directly towards the point of view of the camera as it approached the railroad tracks. Another perspective, this time looking south. A recreation trail running across the picture now uses the old rail grade. The original alignment of HIghway 13 crossed the railroad just to the right of the utility pole. Looking east at the site of the old at-grade crossing. The old highway curved sharply to the north after crossing the railroad, and then ran along the bottom of the ditch on the right. The old road itself is gone. 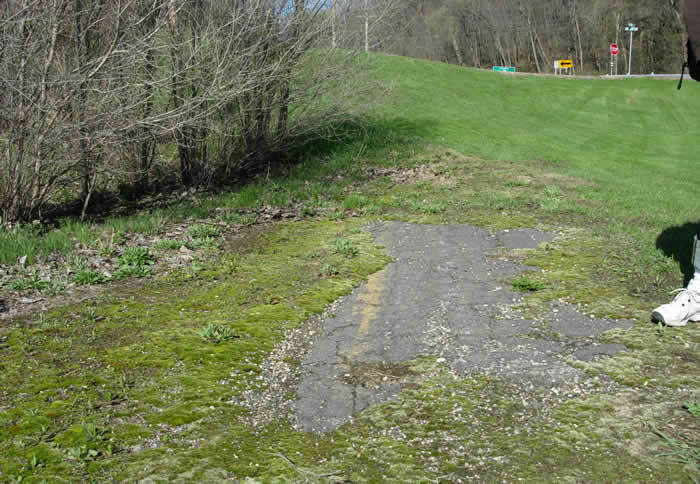 The road on the right (2nd Street) was constructed when the new alignment was built in 1957, and is NOT the old highway (the old road passed through the patch of grass to the left of the street). Looking east in the ditch south of modern Highway 13. While on a birthday bike ride I was showing a friend where Highway 13 used to run, when I was taken by surprise by the sight of pavement in the ditch. A closer view of the old pavement, with yellow center line clearly visible. 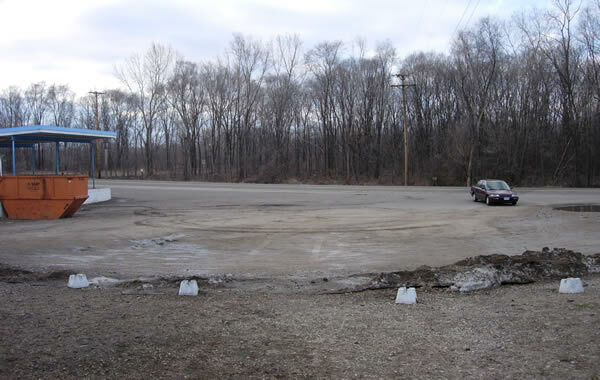 This asphalt has been buried for over 50 years! Looking east on the road descending into Mendota from the Mendota Bridge. The road here was widened in 1993, but is still on the alignment constructed in 1961. 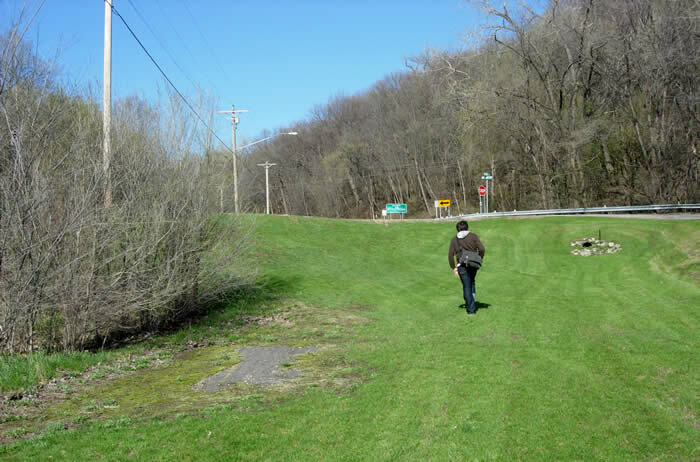 The original alignment curved sharply to the left just ahead, hugging the side of the hill into the parking lot (visible). 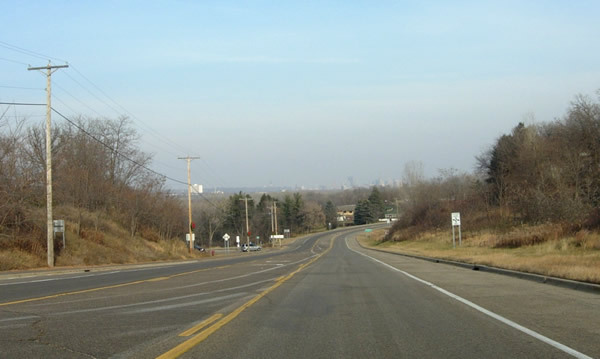 Downtown St. Paul is visible in the distance.